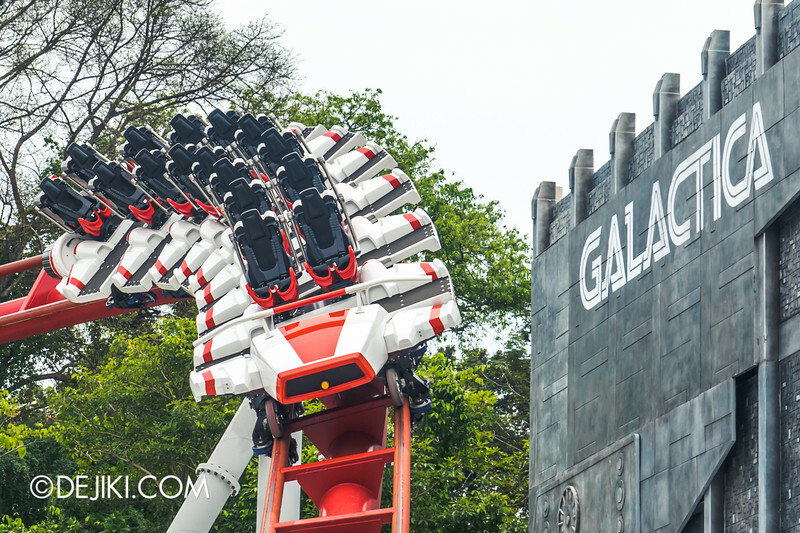 HOT: The Battlestar Galactica dueling roller coasters attraction is confirmed to reopen in early 2015 – and we’ve got new photos and videos of the new ride trains in action! 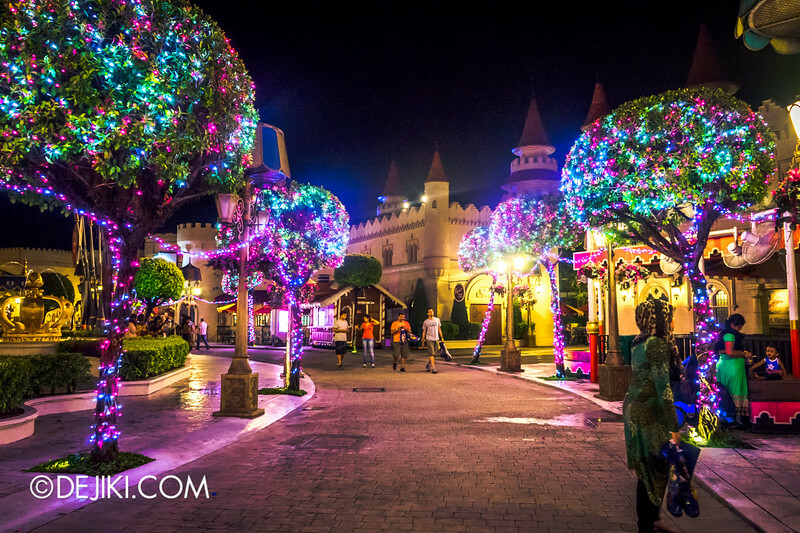 Also, see the park’s gradual transformation into this year’s festive wonderland – Santa’s Land! 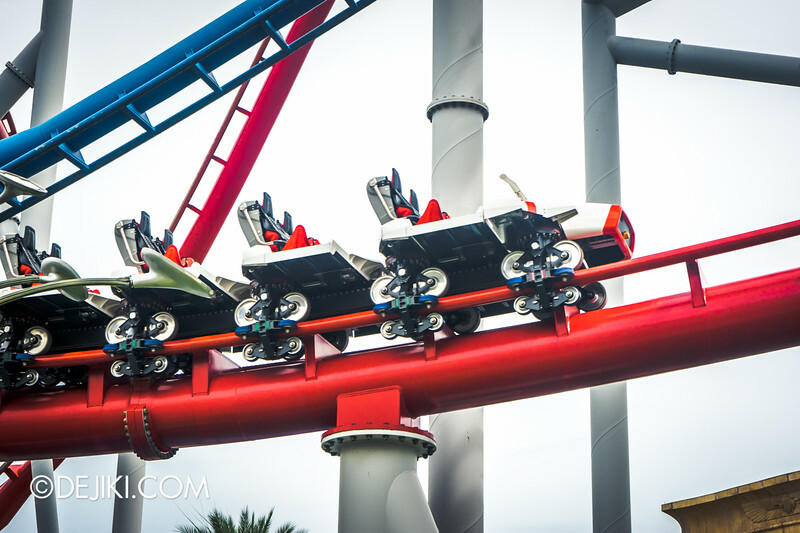 After a few weeks of exclusive flight time, the new Viper (red) will share airspace with the Cylon Raider (blue). 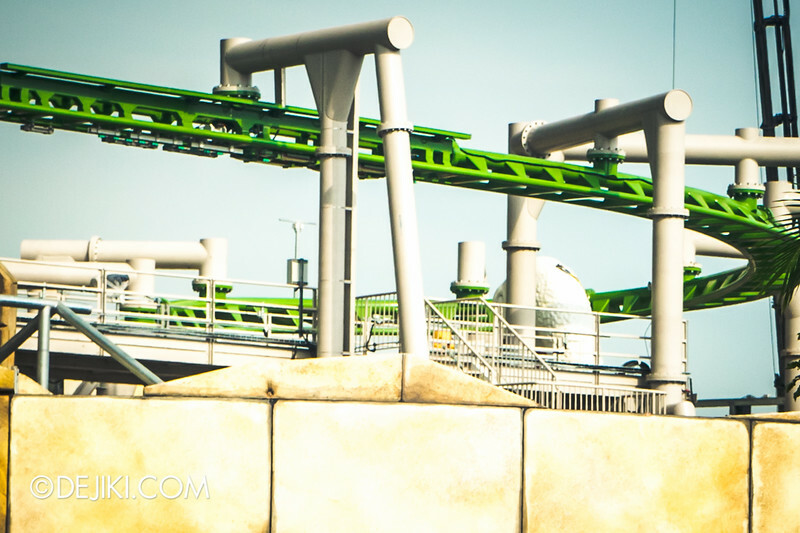 Currently, both roller coasters are still undergoing test cycles. Sometimes alternating, sometimes together. Now, Watch this video, because… the Viper is not working its rounds in the skies alone. DUELING ROLLER COASTERS. BACK IN ACTION. 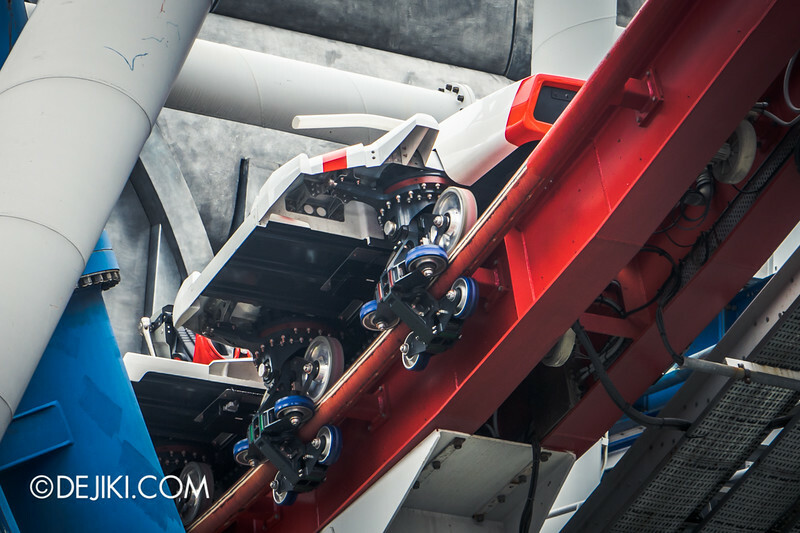 Note: Both rollercoasters are undergoing test cycles and this video is not representative of the final speed and dueling synchronization. From my observation, both trains are still synchronized the same way as before, with this section (the vertical loop) as a particular benchmark. This means that the sections where both trains “cross” and “chase” still happen as originally designed. 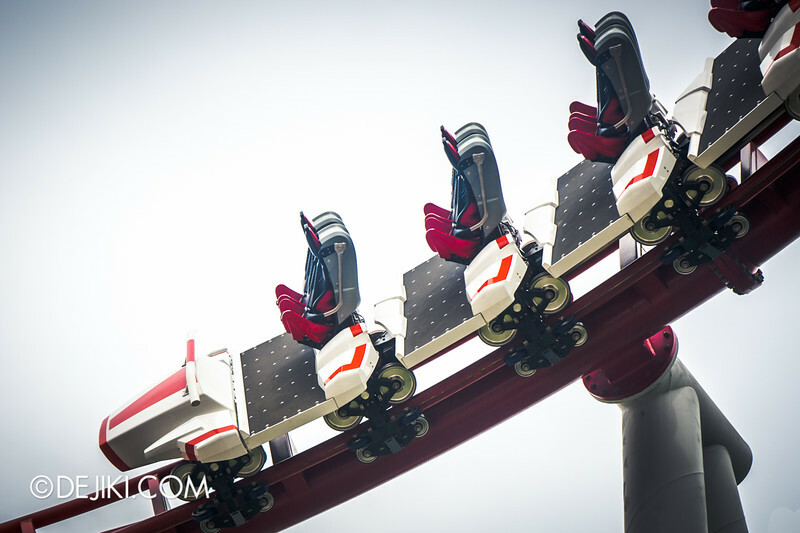 The new ride vehicles are noticeably quieter, particularly for these high g-force sections of BSG:HUMAN. The older trains used to shake, rattle and roll at these tight curves. 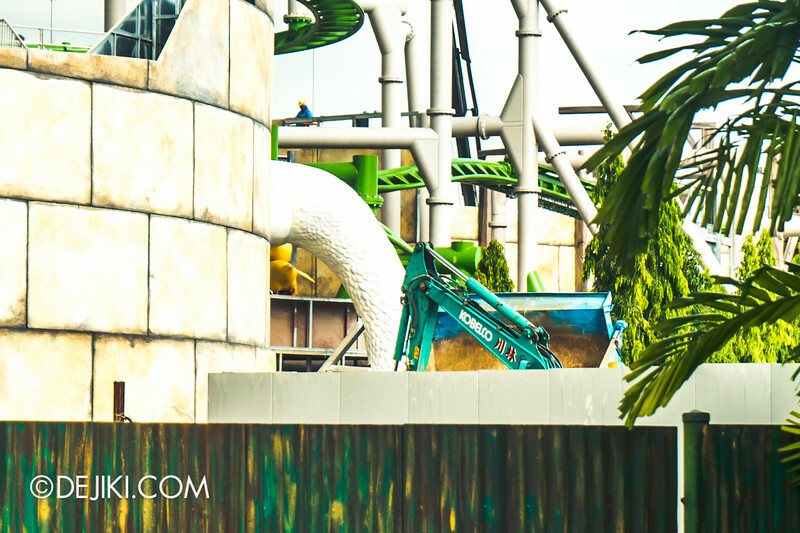 So rejoice – the revamped ride experience will be less bumpy and rickety! Just like its blue brother, the updated ride vehicle is built like a tank. So many reinforced parts! The new seating arrangement gives BSG:HUMAN a rather unique look. Each row now has “wings”, with two turbines too. 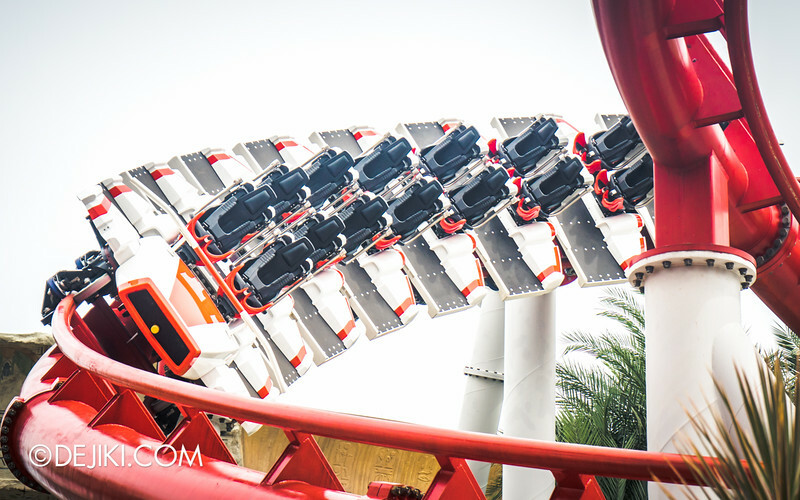 While there’s so much buzz over Battlestar Galactica‘s long-awaited reopening, the new ride over at Far Far Away is pulling all stops. 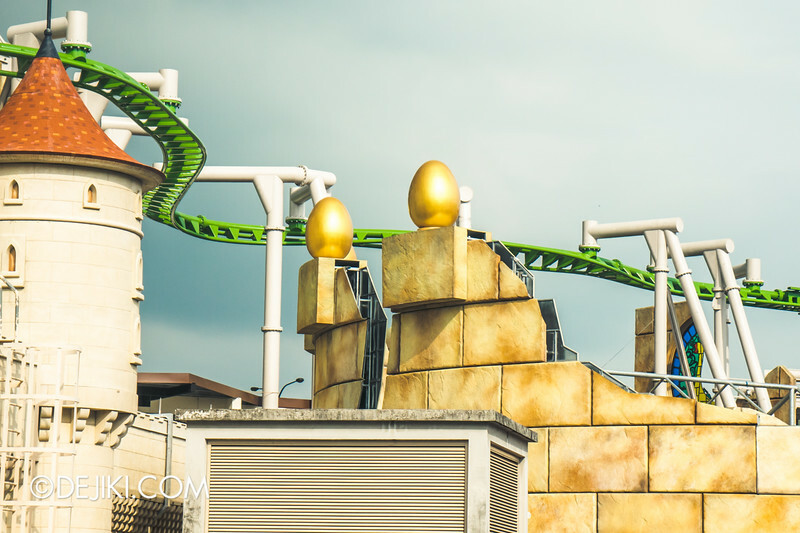 A complete ride vehicle has already been installed on the tracks, while more decorative elements, such as these golden eggs here, were also spotted. The giant goose is here too. 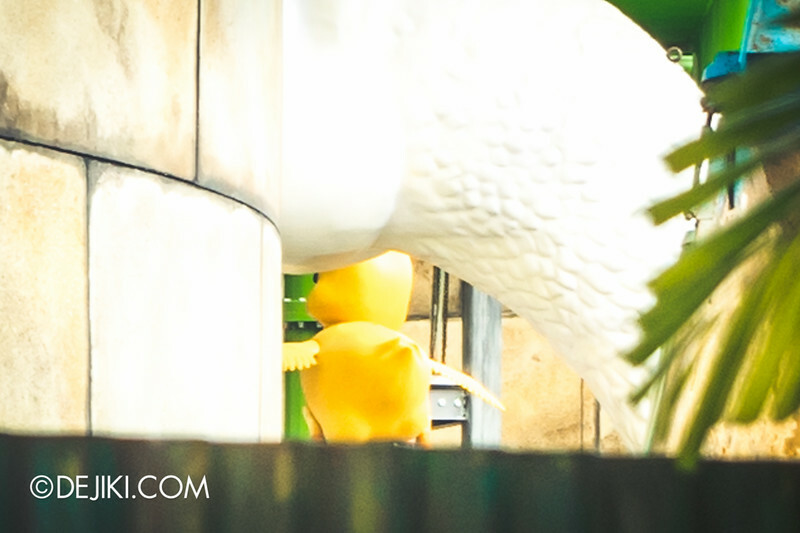 She’ll reappear a few times throughout the ride – one with the yellow gosling. Quite a number of people sent this in: Revenge of the Mummy was unexpectedly closed for a few days last week. Please do not be alarmed. It wasn’t a major (BSG-level) sort of problem. 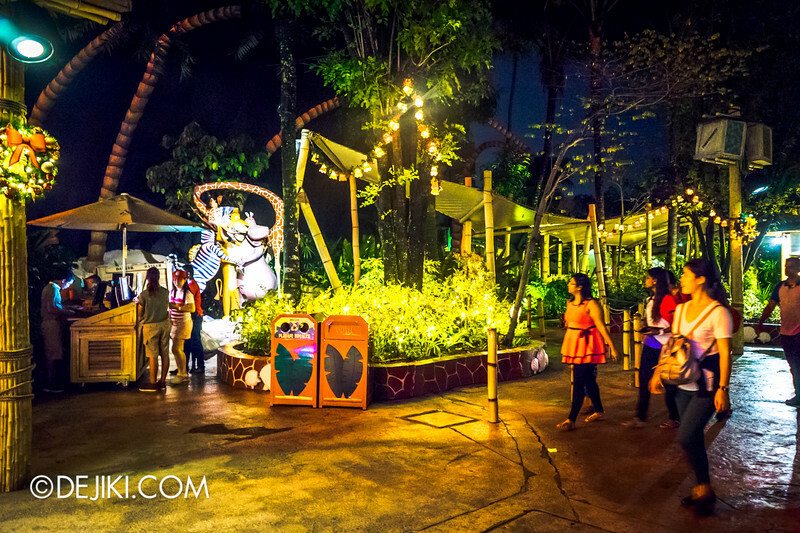 The ride has reopened from 29 November 2014 onwards and is all good and steady now. Unfortunately this attraction is still experiencing technical difficulties. The ride is currently unavailable. In an effort to recycle or cut costs, the park has these trimed Times Guide. 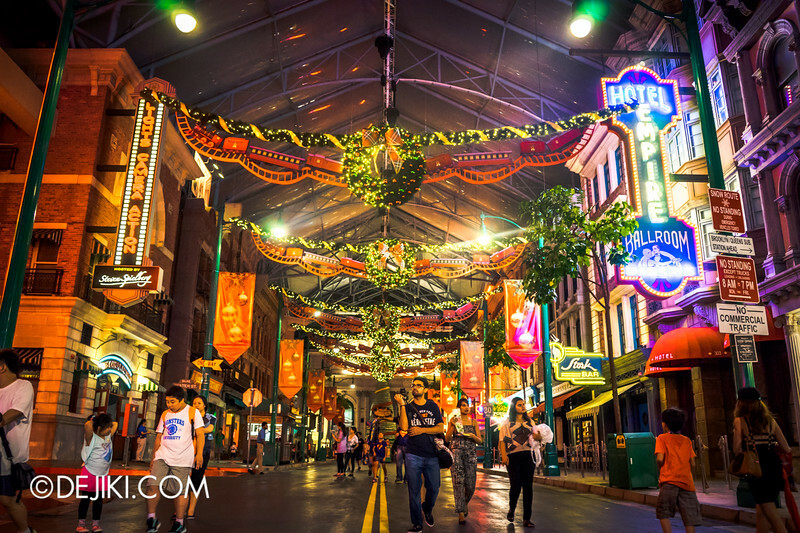 It’s still functional, but is an odd touch for a world-class theme park. Which days were these all taken from and reused? I wonder. 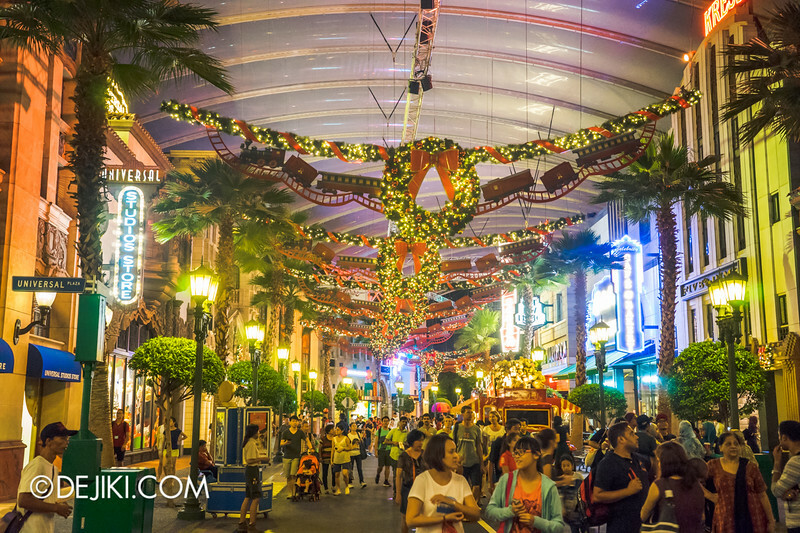 Snowy Christmas at Santa’s Land is the park’s big event for the season, which starts from now till 4 January 2015. I might be covering the event in its entirety. It’s now up to the park to make it worthwhile! 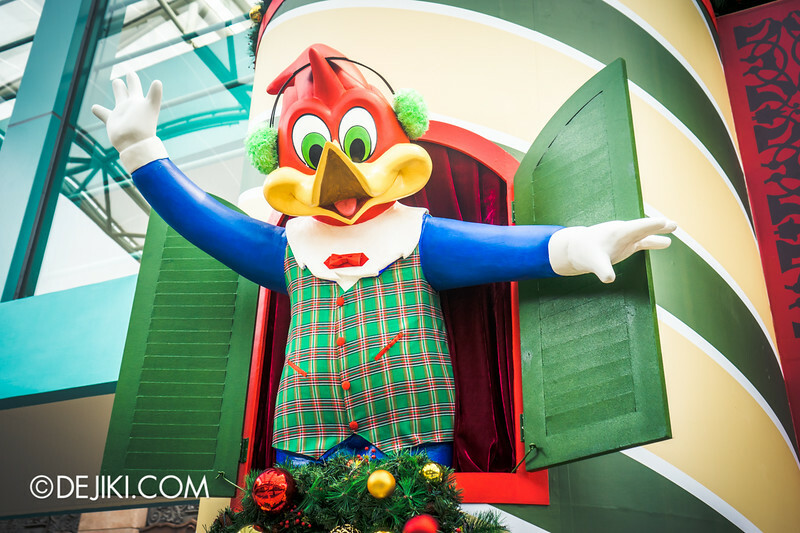 The park entrance now leads to Santa’s Land, graced by the Woodpeckers. 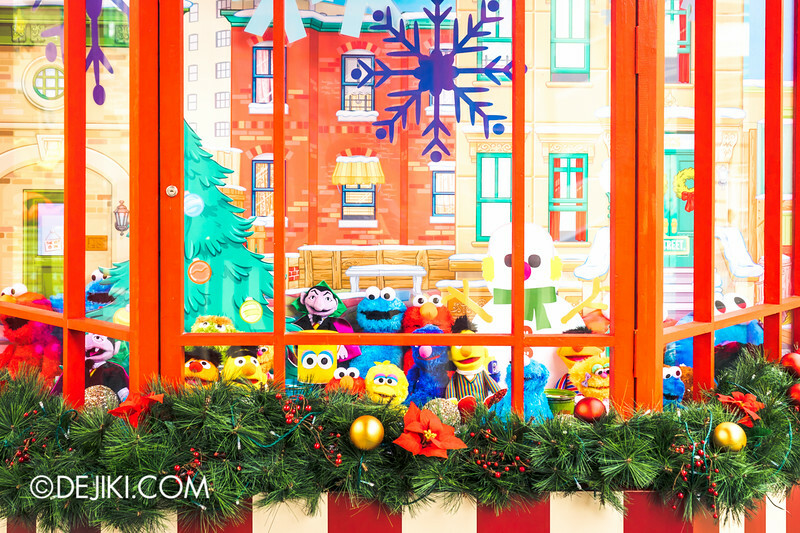 Windows at each side, filled with Sesame Street goods. 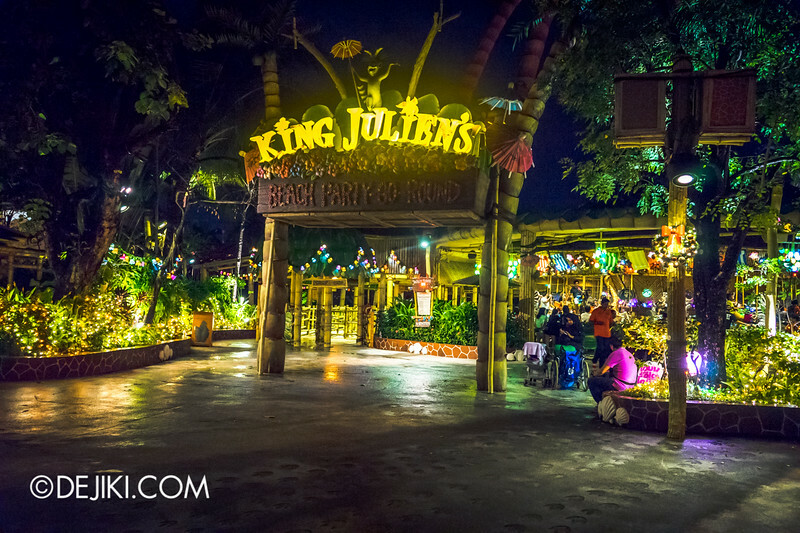 It’s interesting to see merchandise being used as park decorations – that sparks speculation on how, and why that decision was made. hmm. This year’s decorations look much better than 2013’s “hanging printouts with lights”. 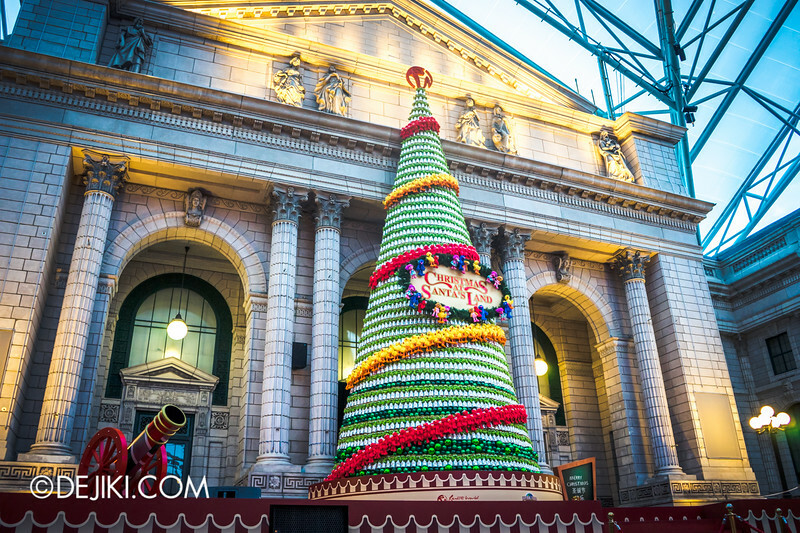 Although the “trains” are flat, at least this year there are garlands and wreaths that are lit at night. The little display the end of Hollywood is now complete with presents and toy soldiers. 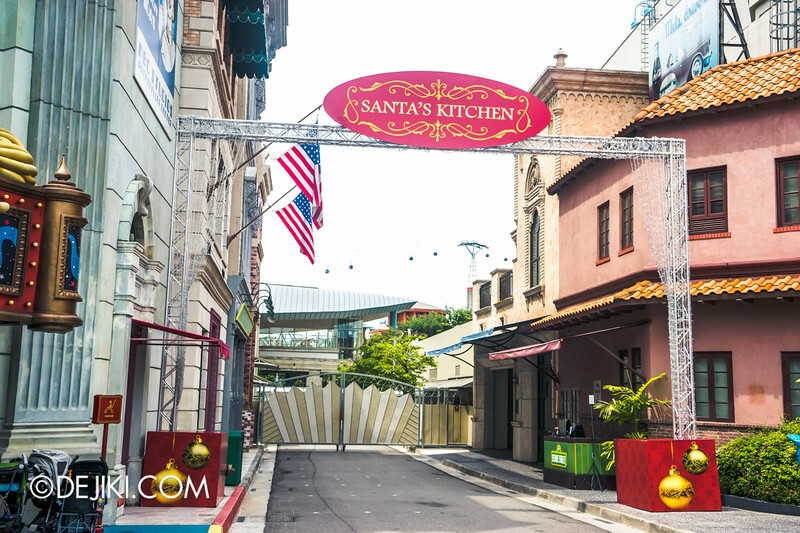 Santa’s Kitchen, a seasonal dining experience, will be housed in Stage 28. 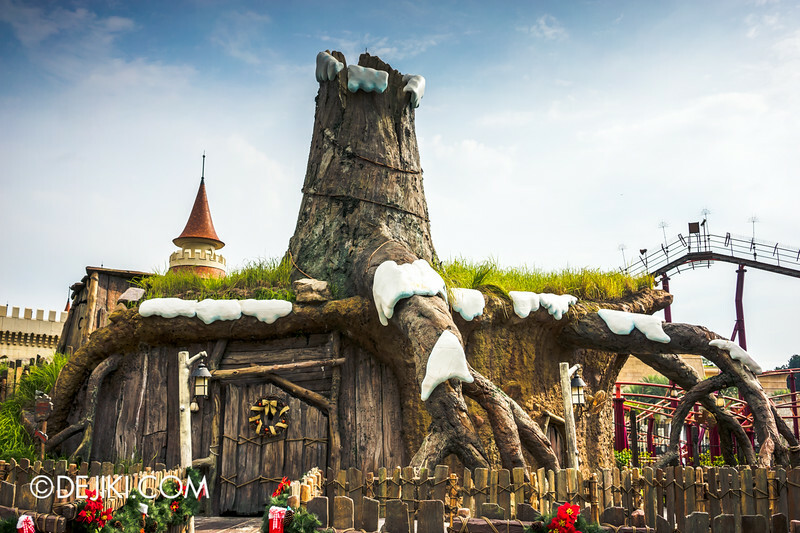 Shrek’s stump had some sprucing up this holiday season. 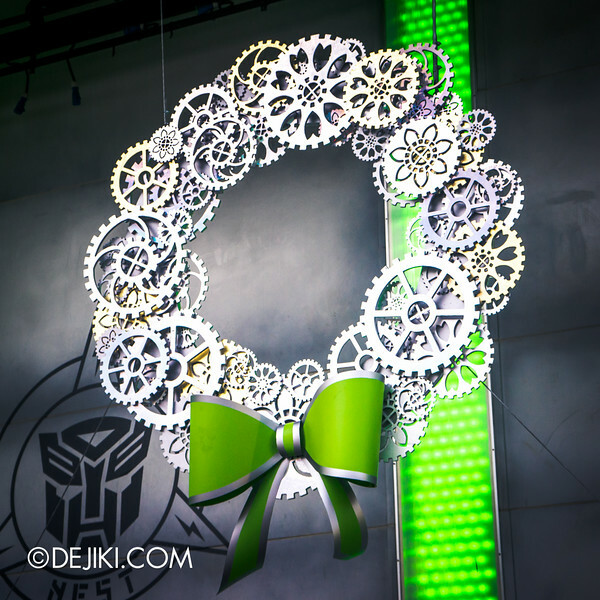 The most unique wreath at the park can be found at Sci-Fi City. 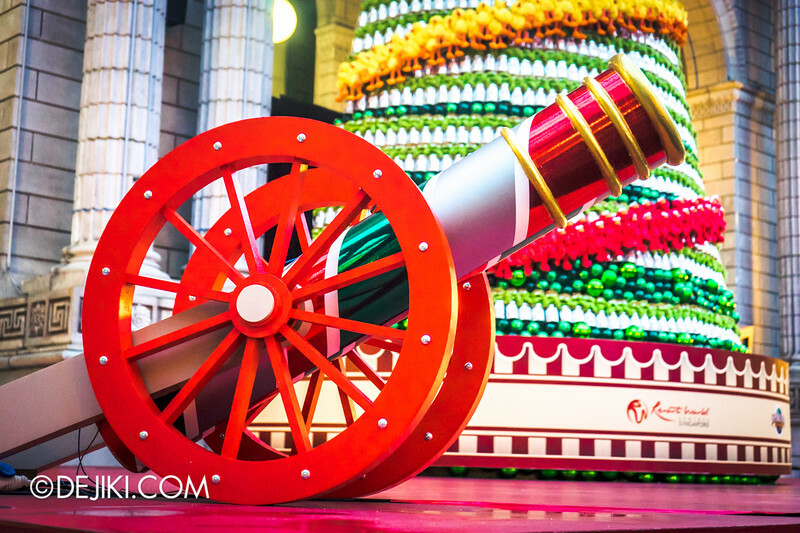 New York is the key zone for Santa’s Land. Most of the shows take place here. 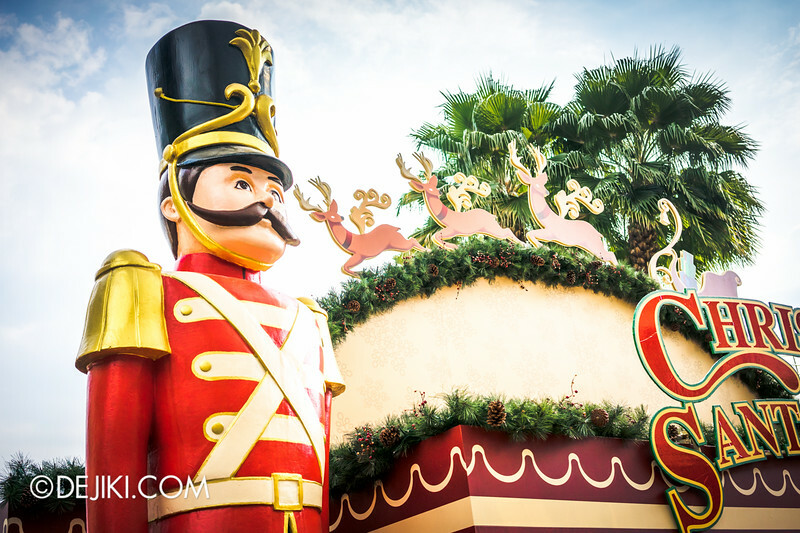 The stage will be home to three performances – two multimedia shows and the Santa’s Toy Soldiers. 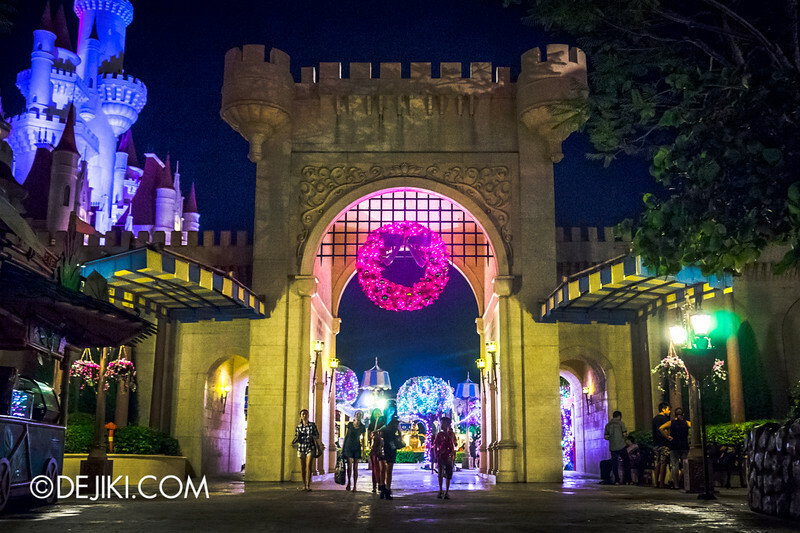 It’ll be magical at night, with snowfall – sometimes blizzard – happening every hour or so. 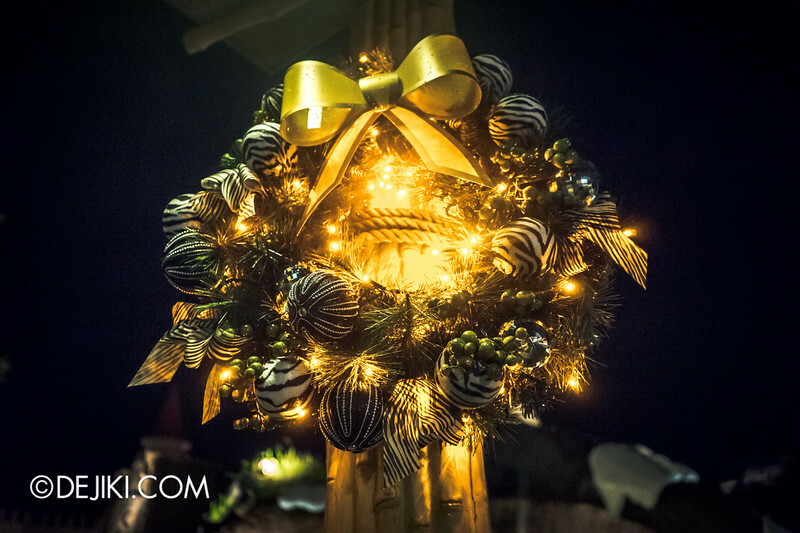 Madagascar and Far Far Away also received some festive decorations, in the form of smaller wreaths and lights scattered everywhere. It looks nicer in person, really. The extra lights make these zones more welcoming than usual. Far Far Away – colourful lights on trees. It’ll be nice when they finish putting them up everywhere. is it just my feelings or what, seems that HUMAN is kinda slow compared to CYLON..
On both saturday and sunday that week (30 and 31 Nov), there are 3 sets of “Madagascar Boogie” and “The Dance of the Magic Beans” street entertainment. 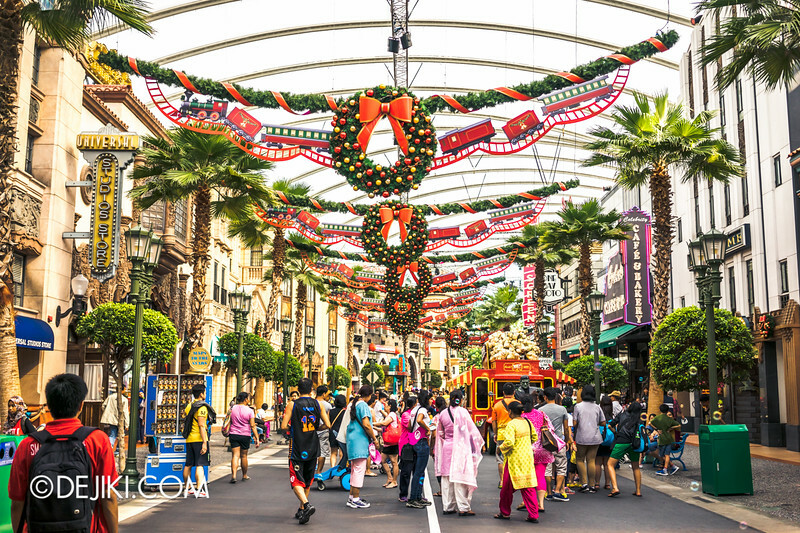 The next following day, these two street entertainment sessions will increase to 4 or 5 sets per day as the following day (01 Dec) is the start of the Christmas season. My guess is that they might have made a mistake printing out the date of the times guide. Thus, they trimmed off these Times Guide, hiding the today’s date. I also noticed that the trimmed Times Guide edge (on top) are pretty uneven. 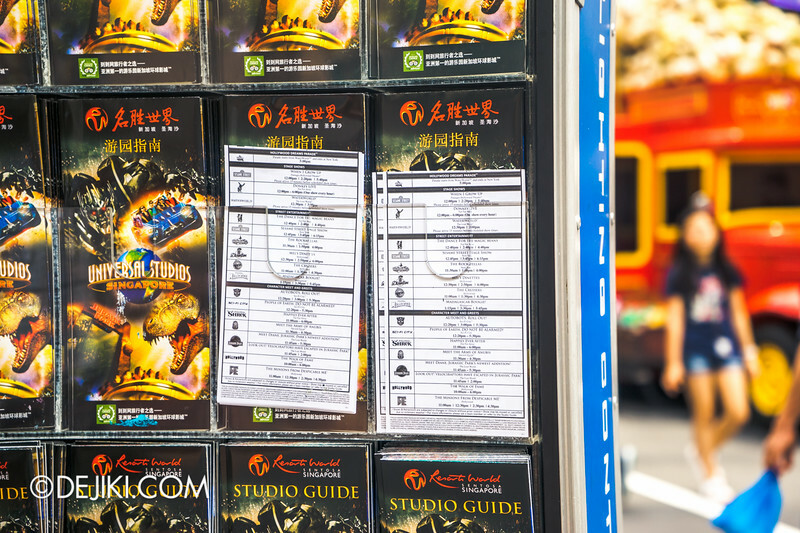 Seems like it has been manually trimmed by hand (using scissors) before they placed it on the studio guide racks. Just went on Dec 4th. Snowy Christmas event is lovely! I am really glad that the park opened till 9pm. Hi! 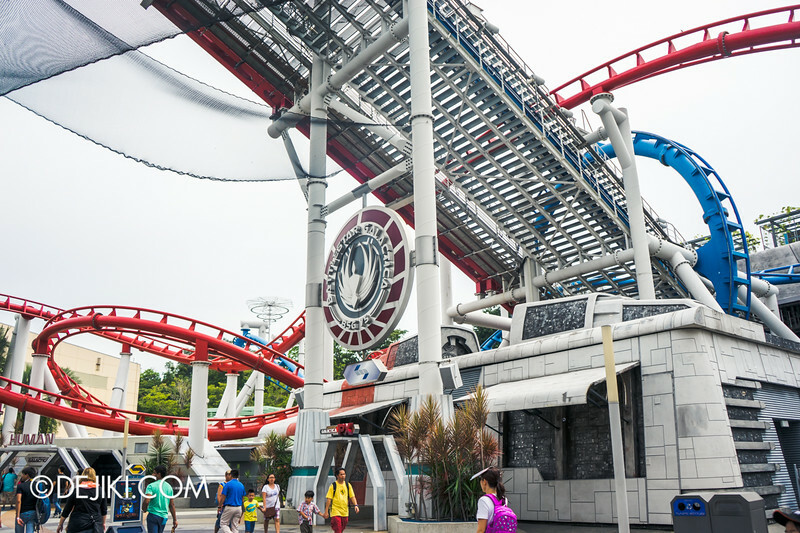 This will be my first time to USS (i know, its been open for how long already?!) 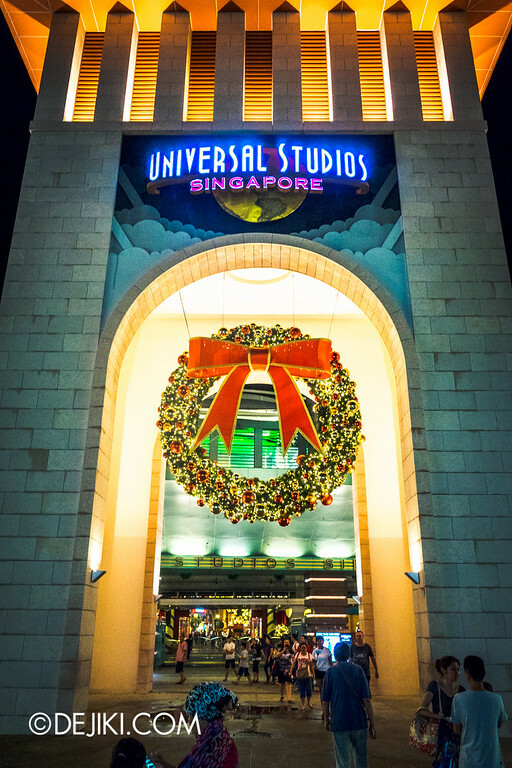 and i would love to visit during the Christmas celebrations! 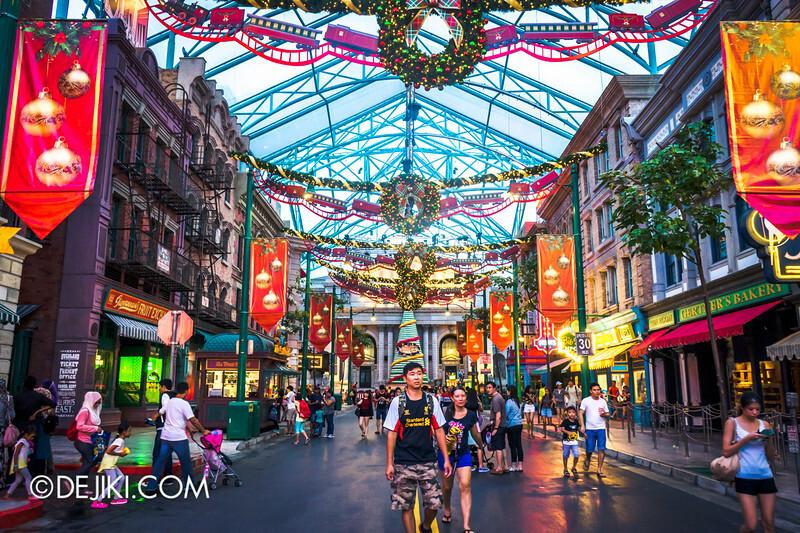 My main motive will be to catch the christmas shows rather than the rides since there will most likely be massive crowds. I’m planning to go on a Sunday, read and heard from many that Sunday crowds are usually more manageable than Saturdays. Is that true? 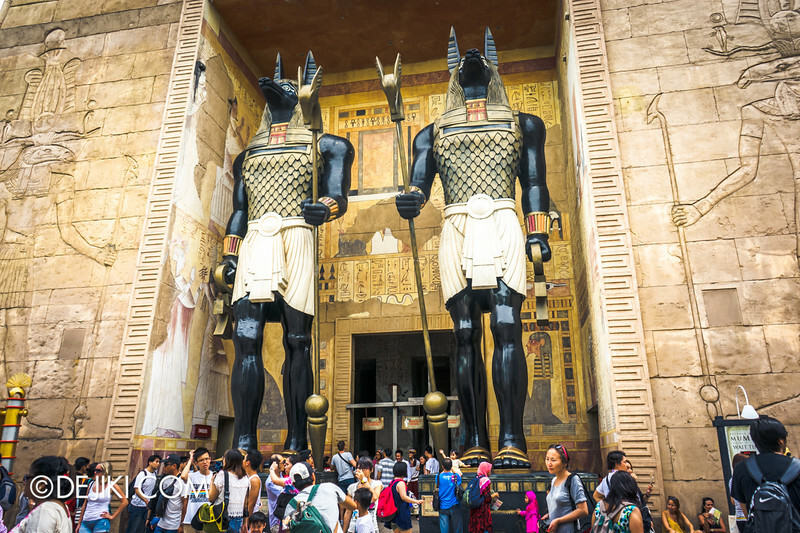 Would appreciate your insight on this since you’ve visited the park many times. Usually Sunday will be less crowded as the next day is a working day. However, this is the school holiday season so do expect some crowds even on Sundays. 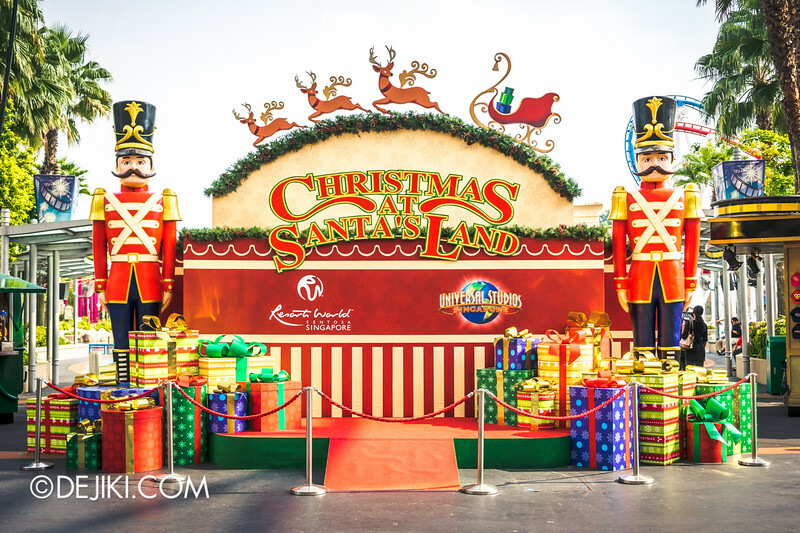 I visited USS for the Santa Land event yesterday and I must say it was quite pleasant, definitely better than what was done last year. 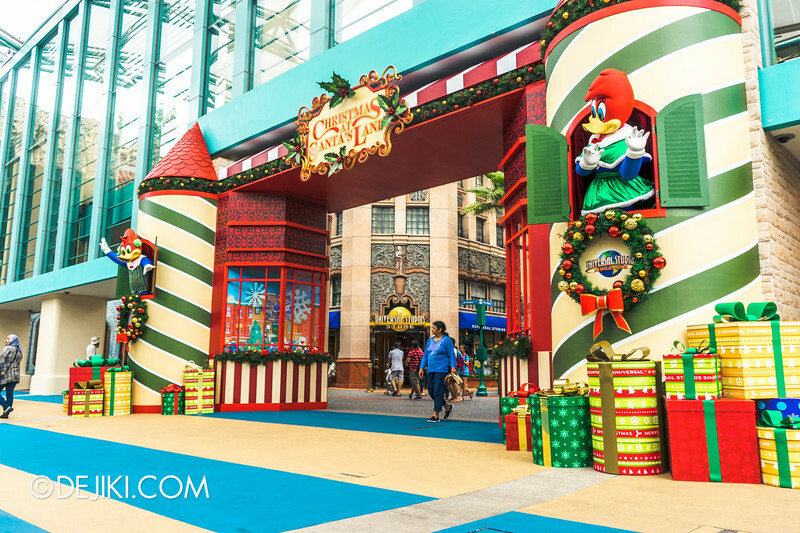 For one, I liked that Santa was offering meet and greets every hour, and I think that the inclusion of his helpers, Elf and Candy Cane (meeting after 5pm) was not a bad touch either. I also met the Toy Soldiers in the New York zone (Library Stage). 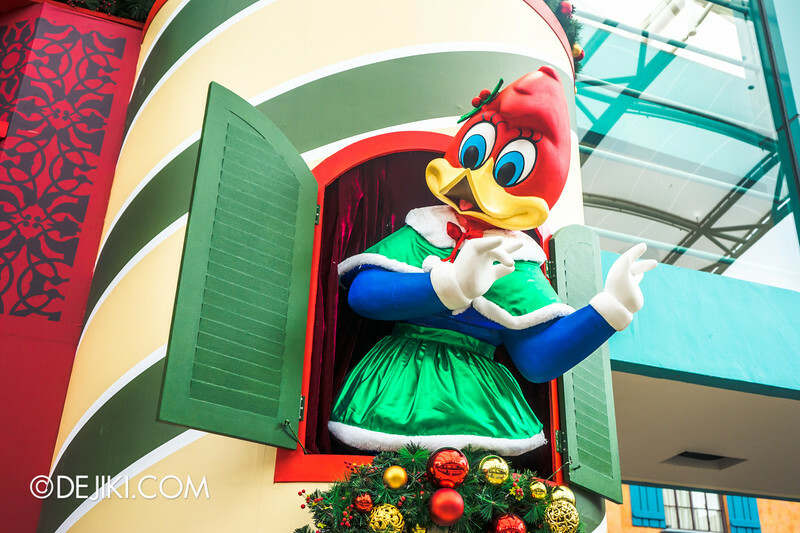 I just wish there were more of such holiday-themed characters, including Gingerbread Men, etc. The snowfall was a good touch too. 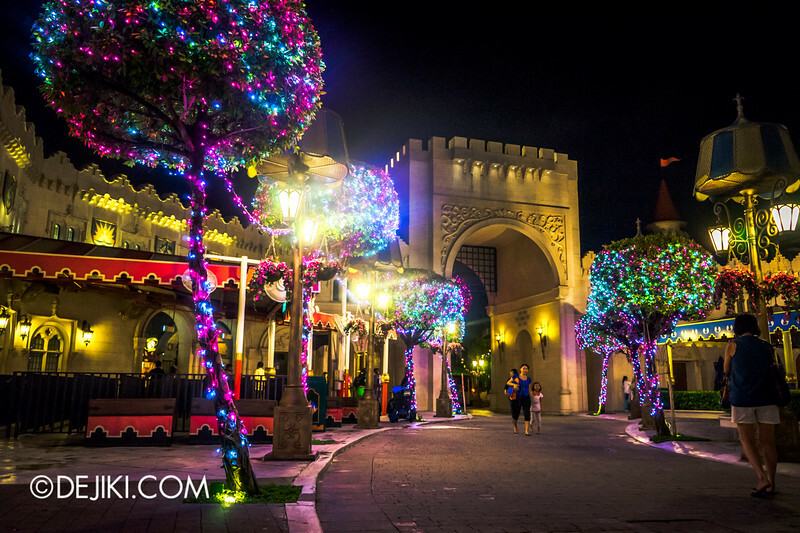 However, the park could, perhaps, have a mini-Christmas parade like the one at Universal Studios Japan. Haha. I’ve only met them once but I have seen pictures of two candy canes meeting, though I’ve only seen 1 Elf and 1 Candy Cane so far. 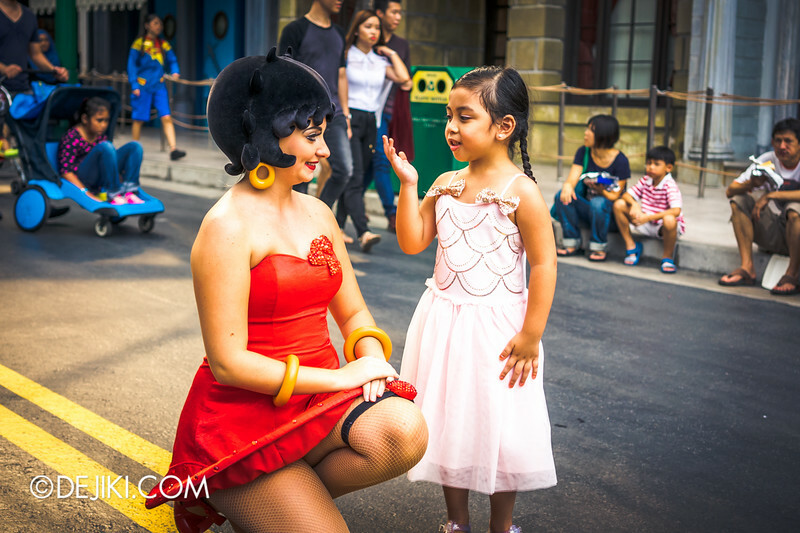 Best interactions in the park for me include with Marilyn Monroe, Scorpion King and Isabella the female host from “The Dance For the Magic Beans”. Hi Dejiki, really love your posts. So informative and your photos are great. 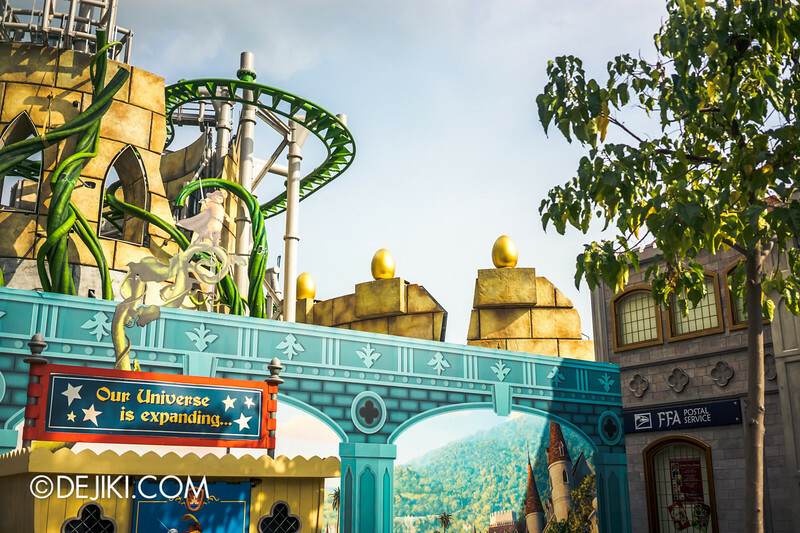 Am wondering if you are thinking about going to Universal Studios Osaka? 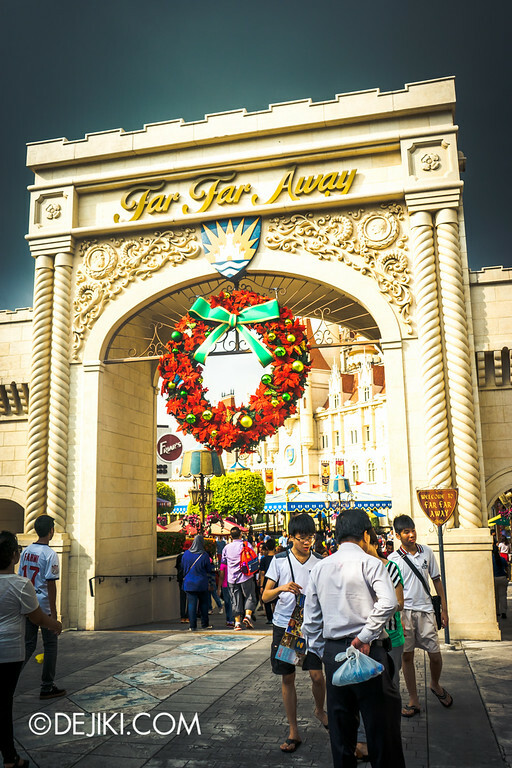 Would love to get some idea of your thoughts on that park as we are heading to Tokyo to visit Disneyland and DisneySea and then on to Osaka in the new year. Hi dejiki. Just a question . 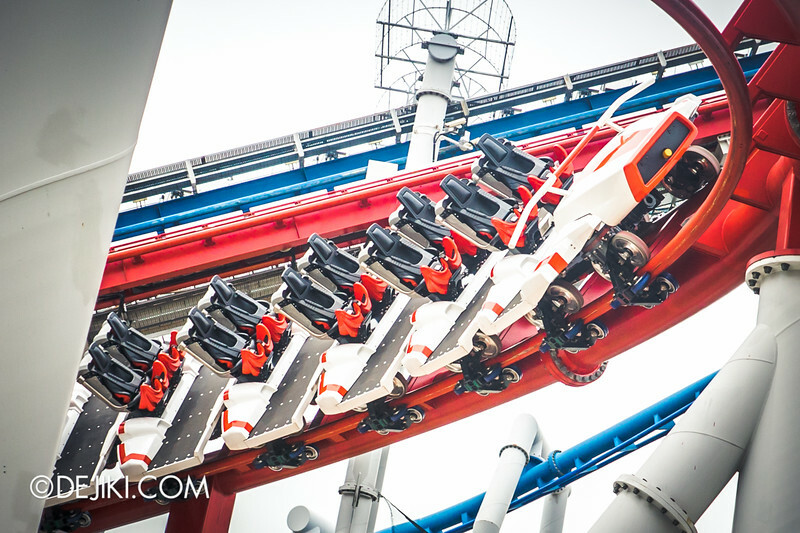 When can I get to enjoy BSG red and blue ride? 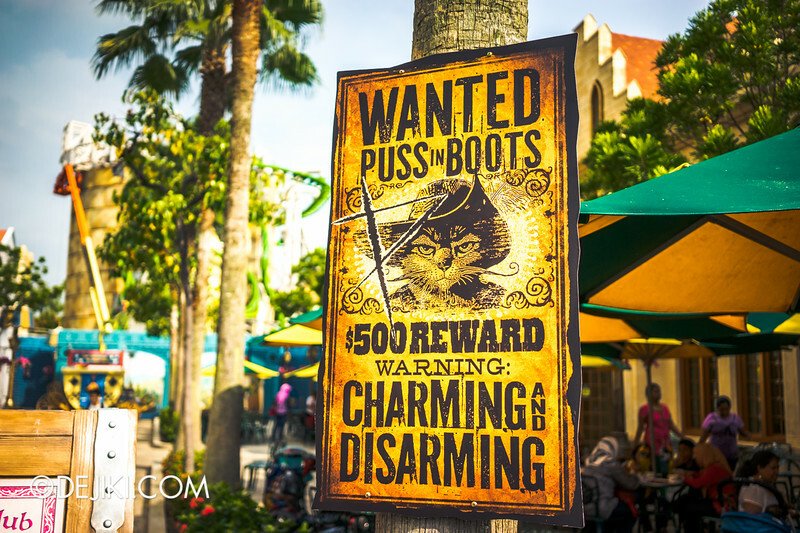 And the puss in boots ride? When these 2 available? The BSG, early 2015 as in when?